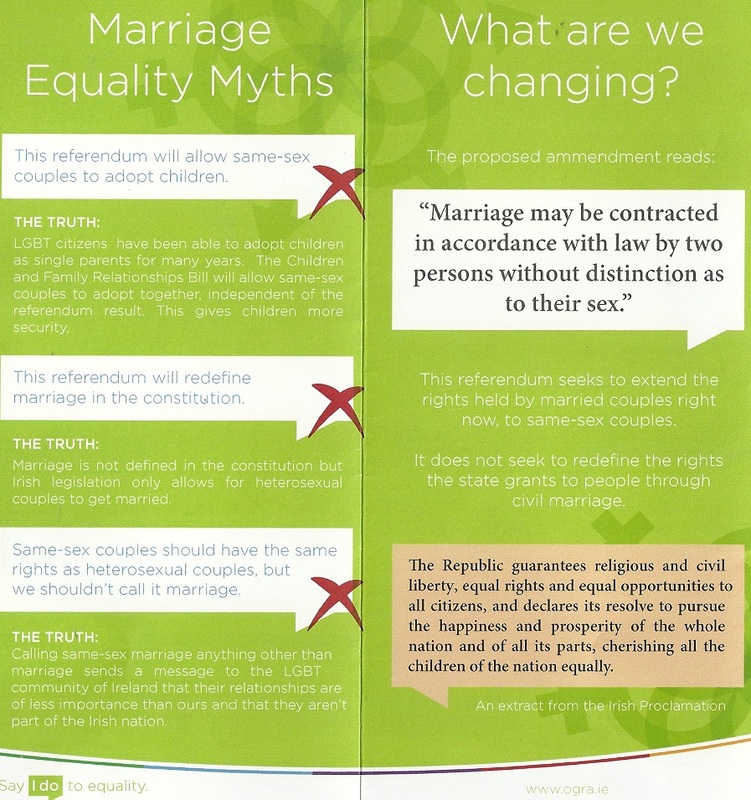 From the Marriage Equality Referendum a “Say ‘I do’ to equality .. Vote Yes” leaflet from Ogra Fianna Fail. Not so much a fan of the organisation, but definitely like both the image and agenda, as well as your posts. Thank you.